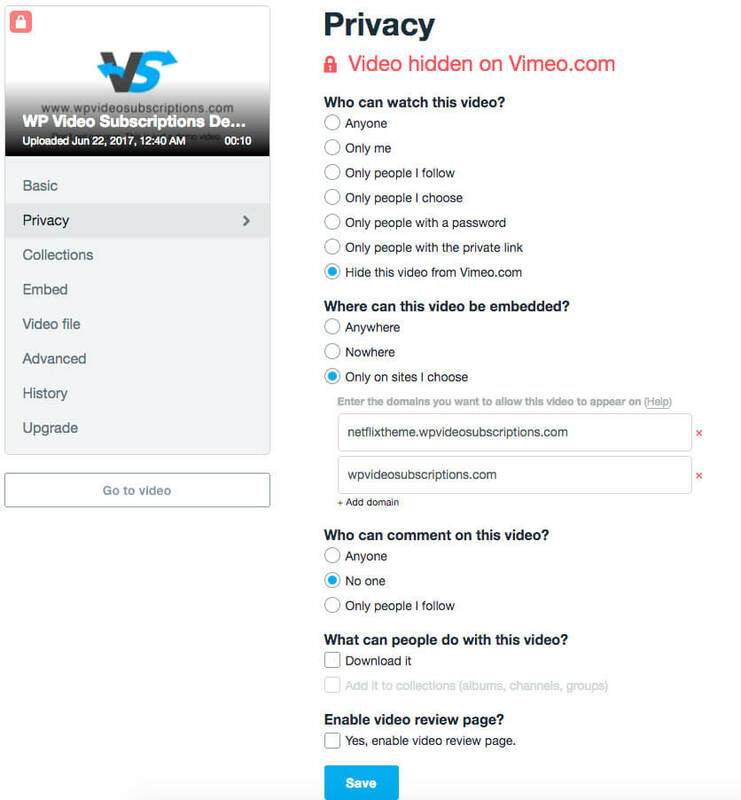 The following article explains how you can hide your Vimeo videos from vimeo.com and restrict their playback to your website(s) only. The following guide requires you have at least a Vimeo Plus account. Hover over your profile icon in the top right corner of the screen, then click on the Settings link in the drop down menu. Click on the Video -> Upload defaults tab. Set Where can your videos be embedded? to your own website URL(s) on which you would like your videos to be played. 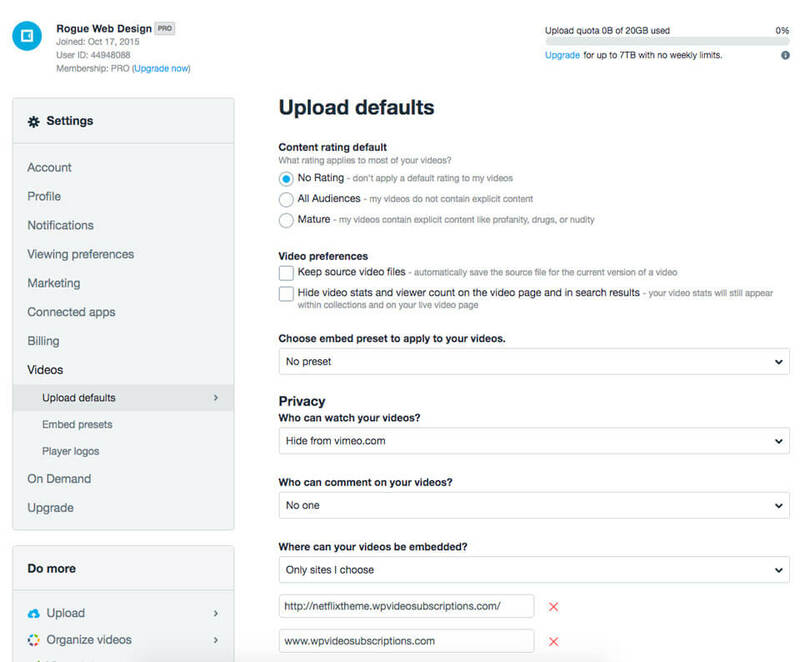 This will set the default settings for all videos uploaded AFTER the settings have been changed. Any videos you have previously uploaded will need their settings updated. Hover over your profile icon and select the Videos link from the drop down menu. Click on the Privacy tab in the left side menu. Set the Who can watch this video? and Where can this video be embedded? to the same settings as you did in your Upload presets.